How often has it happened that you come in early at work and the first thing you see is email/messages from employees asking for sick leave? As an entrepreneur, manager or CEO, this isn’t unfamiliar news to you. In fact, this is so common that some of us long to see a houseful day at work for weeks. While the above problem might seem like a physical/medical situation that you can’t avoid or control, the reason or trigger might often be something you can influence. But before we dwell on it, let’s look at one more situation. Sandeep, a senior operations manager in your team is often seen irritated and scolding the team members on their shortcomings. While this behaviour is not justifiable, it is understood as a way to build pressure once in a while on the team. However, you start receiving complaints from the team members that this is now a frequent habit with him now. This coupled with his sensitivity towards feedback or suggestions that are given to him by the team has led everyone in the team to be demotivated to work under him. Some employees are even considering changing their department or even a job for the same reason. You know Sandeep is an old employee of the company and hasn’t been this way always. So what changed? In both the scenario described above, the problem is much more than what meets the eye. Being an HR professional for a decade now, I have managed to build my rapport across hierarchy within organisations. What I realised with my interactions with the various groups of employees is that both the above situations are mere symptoms and not the actual problem in most cases. Employees who took sick leaves more often and people like Sandeep who were aggressive towards their peers both accepted that the real reason for such behaviour was the increasing amount of stress they were struggling with. Can stress have an impact in work life? The answer to this is a big YES! Most of the problems that you face at the workplace can be attributed to stress at workplace. Increasing workload, demanding clientele, constant pressure to outperform competitors and the everlasting pursuit of customer satisfaction often takes a toll on the entire organisation. Irrespective of how many pep talks you give, employees tend to burn out (and naturally so). The main reason for this is the rising level of stress in today’s corporate environment. In either or both cases, stress can have physical, psychological and even behavioural impact on your employees. As a leader, your task is not just to bring in the results or numbers demanded but also to do it in the most optimum way possible. If more employees are stressed, the number of work hours/ resources needed for a particular project increases significantly too. And this increases the overall cost as well. Just like you do for their physical wellness, effective stress management requires a strategic approach from your end too. The earlier you identify and tackle it, the better results you might be able to achieve. If the cause of stress is personal, ask the employee to visit a professional for help. You could even facilitate an appointment or partner with a mental health professional to help keep the stress levels low at the workplace. If the causes are one of those mentioned in the table above, it’s imperative that you take immediate and decisive action to reduce them at the earliest. Given below are few strategies that you can employ to reduce stress at workplace. The most common cause of stress is the gap in communication in your organisation. Promote effective communication as one of the core values in every team. Let there be no ambiguity or confusion leading to conflict or eventual stressful scenario. Having an emphasis on positive, corrective criticism rather than negative feedback should be a compulsory skill every manager and team member should practice. Instead of micromanaging every project and task, offer employees independence with accountability. Let them know how they perform through regular meaningful feedback and suggest corrective actions immediately. The more you trust them, the lesser they would stress about someone watching over their shoulder all the time. In your feedback, ensure you mention specific progress your employees are making towards meeting the set goals. If need be, alter the goals to be more realistic or accommodating towards the person performing the task. This would further give them the confidence and feeling of support from you. Monetary influence on stress is usually on the higher side. Employees tend to share their pay package details with their peers and get competitive about it too. If you don’t have one already, have a fair salary structure and process for incentive distribution for your employees. This would not only bring standardisation but also reduce the pressure to work more to earn more. It is a general phenomenon that you’re able to give more in situations where you are safe. Having an environment where people feel unsafe working would automatically reflect in their productivity. Safety could mean something as basic as working on a desk or chair that is broken to undergoing harassment from peers. This also extends to the physical environment after office. If your work requires your employees to leave at midnight hours, their travel safety also becomes your responsibility. If there are any concerns that come up, ensure you have a grievance cell in place to not just note it down but act on it and provide a definite resolution in the least time possible. Nothing drives stress faster than positive reinforcement from seniors. Ensure you appreciate the employees on accomplishing their goals and over-exceeding their set targets. This needs to be a regular activity so they do not feel ignored or left out. This also drives away the misconception that the work they do is insignificant or goes unnoticed. Appreciation will make them feel valued for their contributions and also increase their motivation to work. Last but definitely important in today’s time is the need to encourage employee counselling at the workplace. As mentioned before, you can either do it by asking your employees to visit a professional when you see any of the signs mentioned above or you can partner with one. Just like you do for their physical health through insurance and health workshops, you need to consciously step out of the taboo attached to counselling and promote it among your teams. Mental health professionals might also give you a corporate discount or promotional voucher that you can share with your employees to encourage them for it. As a great manager, you need to reassure your team members that you are aware of their stress level and share with them on how to reduce stress in the workplace. Remember that employees don’t have to sacrifice their health or happiness over things happening at work. 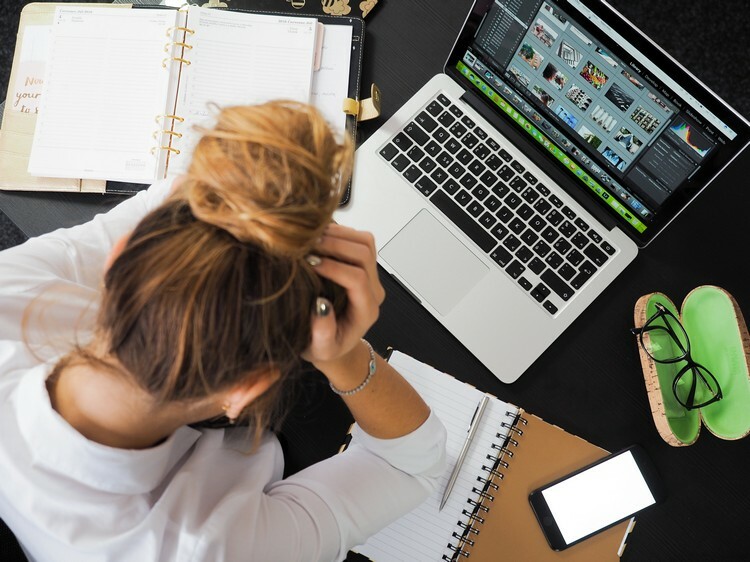 Benefits of preventing stress at workplace will automatically be seen in the increase in employee attendance, the rise in productivity, greater job satisfaction, lower attrition rates and more. Yellow Spark can help you formulate better stress management strategies specific to your work environment. You can also have us train your managers and leaders in identifying stress indicators in employees, offering practical and relatable solutions and also conducting internal stress audits and workshops on an occasional basis. Write to us at contact@yellowspark.in to know more.